Research by City University London academics has demonstrated that employee-owned businesses weathered the economic crisis better than non-employee owned businesses, which influenced the government’s decision to introduce policies aimed at boosting employee ownership. Professors Joseph Lampel and Ajay Bhalla from Cass Business School, began researching the impacts of ownership structure on decision-making and firm performance in 2007. 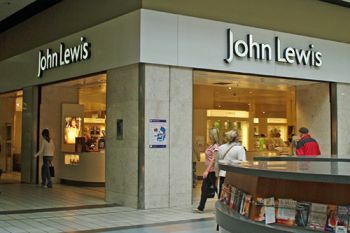 In 2008 they designed and carried out a study for the John Lewis Partnership into the benefits of employee-owned businesses (EOBs). They subsequently built on this study with further research on the performance of EOBs relative to non-EOBs. They found that EOBs create jobs faster - EOBs experienced greater employment growth during the period of economic growth (2005-7) than non-EOBs. EOBs also generated strong employment during the financial crisis, growing by 12.9%, compared to 2.7% in non-EOBs in 2008/9. This is reflected in the belief of EOBs that staff recruitment and retention are crucial in economic recovery: nearly three-quarters of EOBs strongly believe that employee commitment is a central advantage of the employee-owned model. EOBs also tend to have a longer payback horizon when compared to non-EOBs who tend to be more preoccupied with efficiency and costs. However, EOBs face governance challenges as they grow in size and complexity and as the distance grows between front-line employees and senior managers. This makes it more difficult to maintain inclusive decision-making without becoming slow and inflexible. They found that the EOB model has benefits for small and medium-sized firms, of up to 75 people. Their research suggested that the profitability of EOBs correlates with giving employees greater autonomy in decision-making. It also found that EOBs that adapt their organisational structures and empower their front-line employees are more likely to sustain their performance as they increase in size. EOBs are also more resilient to the changing economic conditions: their performance is more stable over business cycles and displays less sales variability. Finally, the model confers particular advantages in knowledge intensive sectors such as specialist engineering and architectural services. Lampel and Bhalla's research has made political waves. 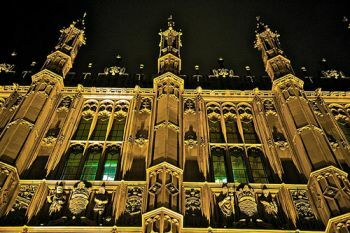 It was mentioned in the House of Lords as an alternative model to the reliance of the UK economy on private and shareholder-owned businesses and an alternative to privatisation. A report by Cooperative Development Scotland (CDS) referred to Professors Lampel and Bhalla's work, while the Wales Cooperative Centre, in a report by its Bevan Foundation, also cited the findings. In February 2012, the Department of Business, Innovation and Skills (BIS) initiated the Nuttall Review of Employee Ownership to review promoting the benefits of employee ownership in the private sector, and invited Professors Lampel and Bhalla to contribute. This research, conducted over a four-month period, provided further evidence to support the EO model. In March 2013, the Deputy Prime Minister backed a call from the Employee Ownership Association for a threefold increase in the value of EO firms to UK GDP (they currently contribute 3% of GDP) by 2020, and pledged £50m a year to encourage them. Again, the City academics' report was cited. Lampel and Bhalla's research over the past 6 years has had a substantial impact on policymakers by giving them evidence which allows them to argue the case for the EO model. This is particularly pertinent at a time when many are looking for ways to improve business's behaviour, and to increase productivity and job-satisfaction. In January 2014, Professors Lampel and Bhalla organised Cass Employee Ownership Association symposium on The Challenge and Promise of Employee-Ownership in 21st century'. The symposium was attended by Chief Secretary to the Treasury, the Rt. Hon. Danny Alexander, who delivered the keynote speech and highlighted that the contribution made by Professors Lampel and Bhalla provided the evidence base for shaping the government policy in this sector. He further commented: "Working for an employee owned organisation has a particular appeal for many people and produces a number of personal, social and economic benefits, including higher levels of engagement and productivity. The government is fully committed to the sector and has recently made £75 million available to it in the form of tax incentives." The work has also led to Cass endorsing the Employee Innovation Award in the 2014 Philip Baxendale Awards. The Philip Baxendale Awards are the UK's only dedicated celebration of excellence in mutual and employee ownership. Hosted by Baxendale and the Employee Ownership Association, the awards are named after Philip Baxendale, a pioneer for the employee owned movement and rewards individuals and organisations excelling in the sector.